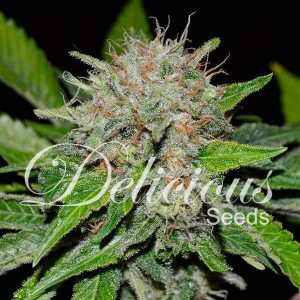 One of Serious Seeds biggest yielder Chronic was crossed with Remedy, a strain with extremly high CBD-content, in a collaboration with the CBD-Crew. The combination was lab-tested in Spain and ALL 10 samples had a 1:1 ratio of THC:CBD. The average potency was 5,4 % THC : 5,8 % CBD, with the best plant scoring 7,88 % THC and 6,93 % CBD! 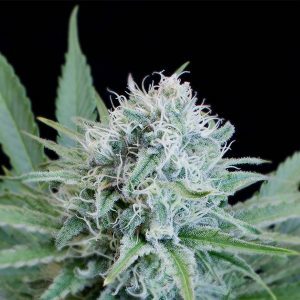 CBD-Chronic can produce top-yields of 600 g/m2 and is easy to grow and clone. She grows a HUGE top-cola with little side-branching. This first purely medical CBD-strain of Serious Seeds is a milestone, which enables patients/caregivers to produce big amounts of medical cannabis containing high levels of CBD. The production of medical extracts (e.g. Rick Simpson Oil) and lotions, cremes or ointments is made much easier with this strain. CBD-Chronic is a medical strain, which is very well suited to treat the symptoms of e.g. Multiple Sclerosis, Epilepsy, Tourette-syndrome, Glaucoma and Arthritis.